Fun Taipei Backpackers popular with independent travelers. It is within 3 minutes walking distance from MRT Jiantan station and 1 minutes from Shilin Night Market the biggest one in Taiwan. We neighbor the famous Chiang Kai-shek Residence and Yangmingshan National Park, National Palace Museum, Taipei fine Arts Museum, Taipei Astronomical Museum, National Taiwan Science Education Center, Ming Chuan University (Mandarin Studies & Culture Center), Inventec Headquarter, Taipei Childrens Recreation Center, SOGO department store. Plus, Shilin Sport Centre, Yuanshan Sports Complex, bowling centre, game centre, pool room, foot massage, swimming pool, KTV, bars, movie theater are all only a block away. Services you need such as a Visitor Information Center (in MRT Jiantan station), 24 hours convenience store, beauty shop, supermarkets, ATM, car rental, internet cafe, Gym, electric shop and a variety of restaurants and shops are all within five minutes walk. This is a convenient, friendly and safe area. Bus stop of Yangmingshan National Park/National Palace Museum/Keelung/Taichung (Jiantan Station), Chiang Kai-Shek Residence (Shilin Station), SOGO department store with DIN TAI FUNG inside (Zhishan Station), Taipei fine Arts Museum (Yuanshan Station), Taipei Childrens Recreation Center (Yuanshan Station), Taipei Confucius Temple (Yuanshan Station). Shin Kong Mitsukoshi department store (Zhongshan and Taipei Main Station), Taipei Railway station (Taipei Main Station), Taiwan High Speed Railway station (Taipei Main Station), Taipei Bus Station (Taipei Main Station). Beitou Hot Spring Resorts (Xinbeitou Station), Ximending shopping district (Ximen Station), Office of the President R.O.C. (Xiaonanmen Station), Chiang Kai-Shek Memorial Hall (Chiang Kai-Shek Memorial Hall Station), Guanghua Electric Mall (Zhongxiao Xinsheng Station). Danshui River district (Danshui Station), Longshan Temple (Longshan Temple Station), LUXY Nightclub (Zhongxiao Dunhua Station), Room 18 Nightclub (Taipei City Hall Station), Taipei 101 (Taipei City Hall Station), Taipei World Trade Center (Taipei City Hall Station), Taipei Arena Ice Land (Nanjing E. Rd. Station), SongShan Airport (SongShan Airport Station). Visiting Taipei City by bus: bus stop at MRT Jiantan station with bus number 61. 203. 216. 218. 220. 224. 250. 260. 266. 269. 277. 279. 280. 285. 287. 290. 304. 310. 508. 606. 633. 634. 616. 102. 109. Check-in time is 4:00 p.m.
Check-in by appointment should be scheduled between 4:00 p.m. to 10:00 p.m.
*Please email us if you do not receive personal confirmation letter with details and map (not mean fm booking system) upon your booking completed in two days. Without the email you will not find us. *As we do not have a traditional 24-hours front desk, please notify us your arrival time. If you require after hours Check In please email in advance. *Our ensuites are all independent unit in the buildings without front desk at this moment except standard room type however our friendly staff is always around to help. Please consider the condition before your booking. *All arrivals need to provide flight information or other arrival details in order to confirm arrival time. All patrons must arrive on time unless otherwise notify us. We'll even email you directions on how to reach us from Airport, Railway station or MRT station. *Free airport pick up service can be arranged for staying a minimum of 2 weeks. Just supply us your flight detail. You have alternative of long-term stay discount. *We do not offer guest laundry services but there are several laundries nearby our ensuite. *We are backpacker hostel and all our facilities are on shared basis and not allowed to take away. *Convenience store (24hours open) is ONLY 1minute from our ensuite. From the voice of our guests, we put an extra effort to establish the better facility here in the Fun Taipei Backpackers! Enjoy staying with us! 3.Please keep the room clean. 4.Valid International Passport is strictly required to present for check-in. 5.Any lost or damaged of key card will be fined NTD300. 6.All our facilities are on shared basis and not allowed to take away. 7.Our Environment Concern - Turn off the light and air-conditioner when you leave the room. 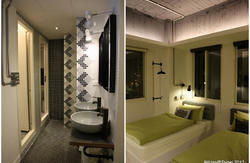 Fun Taipei Backpackers maintains a strict cancellation policy. 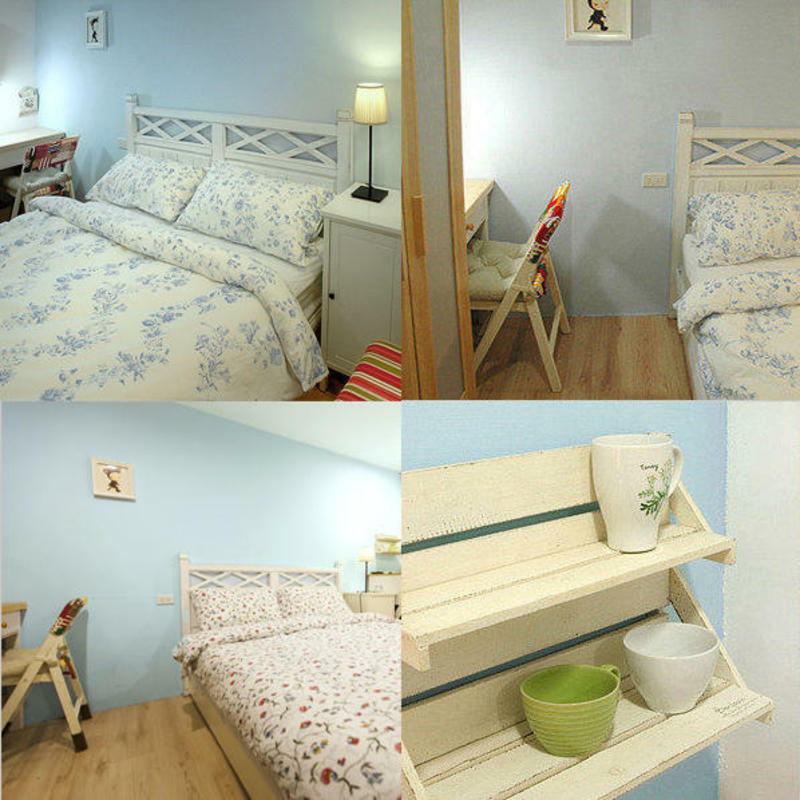 *Deposit 10% for Hostelworld is Non-Refundable and Non-Replaceable. *The extra 30% amount of the balance due will be requested in next 24hours as a real deposit. Please check the email and the junk folder. *Full payment must be paid upon arrival. *Upon arrival, full payment will be accepted in cash (NTD). We do not accept personal checks and credit cards. *You must notify us at least 7days prior to arrival time. *You must notify us at least 30days prior to arrival time if booking with 2 nights and more. *Any days within 7days/30days will be subjected to a 50% cancellation fee. Any cancellation made in 48hours before arrival day or after the Check-in day will be charged the ALL reserved nights . For group, holiday, more than 7 nights or 2 rooms booking, Any cancellation made in 72hours before arrival day or after Check-in day will be charged the ALL reserved nights. Please be courteous enough to inform us immediately of a cancellation or change in plans. We'll try and make your stay as enjoyable as we can, providing everything you need and almost all free of charge. Price shown on the booking form is EXACTLY what you will have to pay for your bed. NO hidden charges, NO hidden taxes and NO hidden fees are Guaranteed. Fun Taipei Backpackers provide rooms with separate units but in same elevator buildings (classic / deluxe en-suites in one building, standard type in another, and mountain view / basic / superior en-suites in the other between 5 to 8min walking distance) and purposely opened to welcome travelers who prefer the simplicity of homelike, cozy living in a serene atmosphere. Groups welcome! Here, our guests will be truly exposed to Taiwanese ways of life. If you come once, you'll be hooked! Only 3 to 5 minutes walks from the nearest MRT Jiantan station (Red line - Terminal Stations: Danshui-Xindian, Service Hours: 06:00~24:00). 1. Arrived at Taoyuan International Airport (C.K.S. Airport) / Take bus to Taipei railway station, they run every 15-20 minutes and take about 40-50 minutes to get to Taipei. Please refer to the details as following. Ticket counters are located in the Arrival Passenger Reception Areas of both Terminals. *Terminal I bus pickup point: Bus pickup zone at B1 Arrivals. *Terminal II bus pickup point: Bus pickup zone at the northeast arcade of the 1st floor Arrivals lobby. 2. Get off the bus at listing stop above. 1.If you arrive from Taipei railway station you go down straight along Zhongshan N. Rd. toward North until you see Jiantan station on your left hand side. 2.If you arrive from highway No.1, please go down Chongqing S. Rd. Interchange / Off-Ramp / go along the road and through Bailing Bridge then take a right into Chengde Rd. / go down Chengde Rd. around 500meters until you see Jiantan Rd. Meanwhile Jiantan station now is on your left hand side.